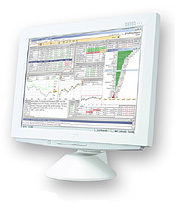 PrimeTerminal is the professional financial terminal by FactSet Digital Solutions for private banking and asset management. It addresses sophisticated information needs by aggregating essential market data into a single online workspace. Focusing on fast and efficient data retrieval as well as workflow optimization, it strategically enhances efficiency and service levels.